In the war that changed the world, no one fought alone. Experience the intensity of World War II's epic battles through the eyes of unsung heroes from an alliance of countries who together helped shape the course of modern history. Call of Duty™ has earned over 70 Game of the Year awards and 50 Editors' Choice awards with its trademark cinematic intensity, epic battlefield moments, authentic WWII action gameplay and intense multiplayer action. Experience war from multiple perspectives - battling Nazi forces through eyes of American, British and Russian Soldiers. Together with your squad, take on authentic combat missions across the battlefields of war-torn Fortress Europe. Remember, your combat success will rely on a combination of your own skills along with your ability to work together with your squad mates to accomplish mission objectives and eliminate enemies. Experience the war from 3 playable perspectives - American, British, and Russian. Begin your campaign as a US Paratrooper as part of the D-Day invasion of Northern France. 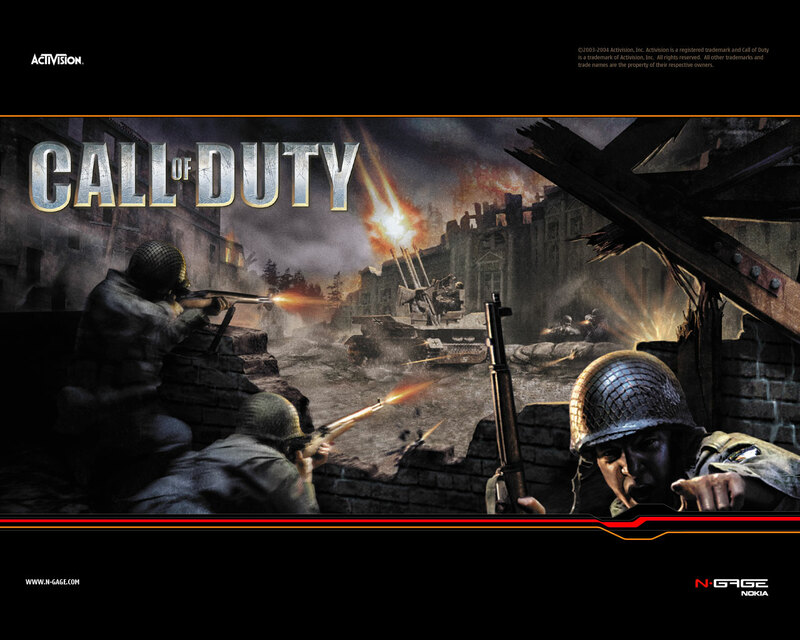 As a British Commando, capture and secure strategic Allied military positions, such as Pegasus Bridge, or go on sabotage missions behind enemy lines. Finally, as a raw Russian conscript, join in the harrowing battle of Stalingrad. Survive and become a tank commander - driving the Nazi invaders back to Berlin. Take on enemies with an impressive arsenal of authentic WWII Weaponry, from M1A1 Carbines and Thompson sub-machine guns to MP44s and Kar98Ks assault rifles.